As the calendar turns every year, it's always interesting to see the slate of upcoming poker tournaments in your area. Las Vegas is widely considered to be the mecca of poker, and if you live there you know the early months of a new year tend to bring a lot of action at the tables. February brings action with three tournament series at The Palazzo, Caesars Palace and Wynn. The Venetian Deep Stack Extravaganza series has moved down the hall to The Palazzo for the first run of 2012 and another massive schedule of events is already under way. The 2012 Winter Poker Classic kicks off on Feb. 10 at Caesars Palace and boasts a 42-event schedule. Over at Wynn, it's almost time for the 2012 Wynn Classic, which kicks off on Feb. 23 and has 16 tournaments. Known for its solid tournament structures in lower buy-in events, the Deep Stack Extravaganza has nearly everything a poker player could ask for. Events range from $120 all the way up to $2,500 and cover plenty of games including hold'em, Omaha and H.O.R.S.E. The Main Event for the series starts on Sunday, Feb. 19 at 12 p.m. and has a $2,500 buy-in. It will run for three days, with the winner set to take home the title on Tuesday, Feb. 21. At the most recent Deep Stack Extravaganza series, the Main Event attracted 265 players and was won by Scott Clements for $145,775. 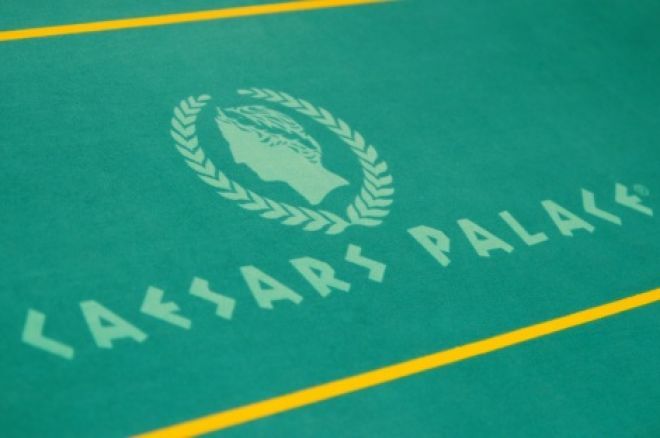 The second annual Caesars Palace Winter Poker Classic has tournaments ranging from $130 to $560, making it a little more affordable than the Deep Stack Extravaganza. The $560 Championship Event takes place on Saturday, Feb. 25 and runs for three days. Re-entry will be allowed on nearly all events. Last year's Winter Poker Classic Championship Event saw Christopher Johnson take home the title and $44,227 in prize money after defeating a field of 464. The Wynn Classic begin dealing cards on Thursday, Feb. 23, with buy-ins ranging from a steeper $550 all the way up to $5,170 for the Championship Event. The series generally attracts some of the more notable fields for smaller buy-in series on the tournament circuit, making it a great event to try and test your skills against some tougher competition. Last year, Tim West walked away with a whopping $318,738 in prize money after winning the 212-player Championship Event. He defeated a stacked final table that included Annette Obrestad, Matt Waxman, Max Steinberg, Eric Froehlich, Carter King and John Kim.